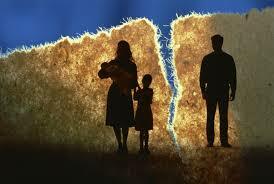 What should the husband do if his wife left with another man and took the kids too? I’m 25 years old and I know my wife for about 8 years, and since then we’ve been together and created a family. We have a wonderful daughter. But for about 8 years my wife has been in love with another man. I fought for her because I felt that she still loved me. It worked because after that we had a child that is now four years old. But now it happened again, she fell in love with another man and wants to go with him. I let her go but she took the child too, and I didn’t know, because I was working the day she left. What should I do? The birth certificate of the child is home and the marriage certificate is home too. I want to know what to do, because I don’t know how to fight anymore. I want my child. My wife left willingly, honestly I didn’t beat her up, I don’t drink, and I worked hard to support my family because I wanted to have a family and I fought for it. But I was left with nothing. What should I do? For 2 weeks I haven’t talked to my child, since they left, and I’m worried because I don’t know anything. I’m waiting for advice. Please answer me. Honestly I don’t know what to do anymore. I know that this is very painful for you now, the fact that your wife was unfaithful and left you. But even greater pain that she took the child that you love so much and you know nothing about her. 1. Pray so that God will give you peace in your heart and so that your wife will repent and so that God will help you bring your family back together. 2. Fast for that. Don’t eat and drink anything for a day, or if you can for two or three, as many days as your heart desires. 3. Tell your family and friends to support you in prayer and if they want to fast as well. 5. Tell your wife that if she will not come with your daughter during this time of a week or two that you put, you will be constrained to tell the police about her running away with the child. Because you cant find another solution. Its preferable not to get to that because this can affect you all even more but if there is not another solution then you will have to declare this to the police because…..
May God help you !